I was visiting Mom last night and she was telling me how unhappy she is with the fact that she can’t remember things and is confused about what is going on. It usually only happens when she just wakes up, but considering she’s sleeping most of the day it happens often. So we started that conversation again about what her options are. She obviously needs help, especially with her medication and some meals. 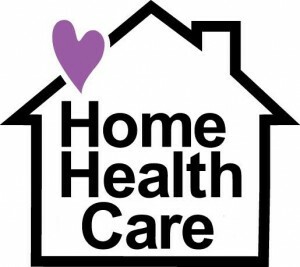 Actually, there are really only two options – move to an assisted living facility or have a home health person come in. We both know that assisted living is the last thing Mom wants – she even said she’d probably die if she moved to one…. YIKES! Of course my opinion of assisted living and Mom’s opinion differ greatly. I feel, for me, it would be a better situation in some ways because of the social aspect of a facility, as well as meals prepared daily, extra curricular activities, outings, and even a smaller living space to not have to worry about cleaning. Yea…. that’s what I’m all about! Mom, on the other hand, doesn’t want anything to do with socializing, hates any type of game, and is super fussy about her meals. After talking about how she won’t go to an assisted facility we talked in more detail about having someone come in. Herein lies the problem. What days/hours would we have the home health person come and what duties would they perform? Some days are better than others for Mom but lately she’s been having confused days every day. Unfortunately I’ve been so busy that I haven’t had a chance to call around and get information for Mom, but now I feel I have to take the time to call. It’s going to be weird for all of us having someone around all the time – we really like our space – but I have no other option at this time. Who knows? Maybe this is exactly what we all need. Someone to help Mom with her daily activities and someone to take a little pressure off of me. And maybe even my husband and I will feel we can get away more often without feeling pressure from Mom about going away. Hmmm… can you say Vegas? What I Learned: You can only put things off for so long, and some changes can be for the better.